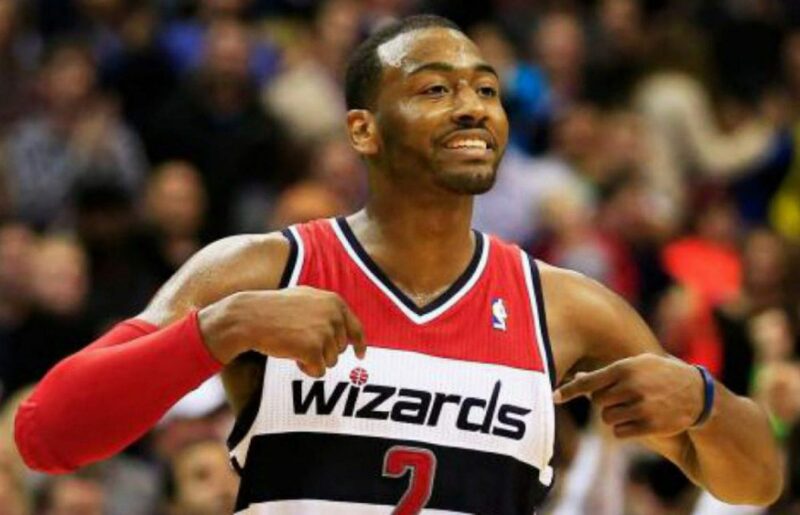 There was one Wizards player last season that played in all 82 games. That player was Ramon Sessions. Sessions relieved John Wall to the tune of 9.9 points per game and shot 47.3 percent from the field; his best field goal shooting percentage in a season where he played in more than 40 games. Sessions was durable, created his own shot, and was very valuable as this team’s backup point guard this season. When Sessions would enter for John Wall, the pace of the Wizards offense didn’t slow down much. Sessions would often catch the ball near the 28-foot line and would bolt out in transition keeping the opposition on their heels. This often resulted in a layup, free throws, or easy putbacks for teammates. Sessions averaged 3.4 free-throw attempts per game, the second-most in the NBA amongst reserve players.Unfortunately, Sessions shot a mediocre 75.6 percent from the free-throw line when he got there. For a player who attempted the third most free throws on this team, it would have been nice to see him shoot above 80 percent from the charity stripe; a feat he’s accomplished five times in his career. Aside from getting out in transition and getting to the free-throw line, Sessions was fearless in attacking the hole as 51 percent of his shots were taken from five feet or closer. This was key for the Wizards as the second unit’s offense stalled out far too many times. If it became obvious that the Wizards would be unable to post up Nene, Sessions would attack the rim to create his own opportunities. This was essential as the Wizards lacked a consistent scorer with the second unit. In addition, if the Wizards’ second unit endured a scoring drought, Sessions could call his own number to try and get an easy transition bucket or free throws. Lastly, Sessions averaged just 2.5 turnovers per 36 minutes, compared 4.1 turnovers per 36 minutes for John Wall. The fact that Sessions could stay in attack mode without turning the ball over was a major plus for a team plagued by bad turnovers. Sessions is a score-first point guard. If he’s not getting easy layups in transition or getting to the free-throw line, he isn’t very effective. He averaged just 2.9 assists per game, the fewest for a season in which he averaged 20 minutes or more per game. However, Sessions averaged 9.6 assists per game in the five games he started when John Wall was forced to sit due to injury. This shows that Sessions is capable of being a facilitator for others; however he tends to alter his game based on if he’s starting or coming off of the bench. Perhaps if he had kept that mindset when he came off the bench, he could have offset the pressure to create his own shot with more opportunities for his teammates. Defense was not Sessions’ strong suit either. Point guards usually had their way with Sessions as he was a poor pick-and-roll defender. It’s hard to blame him too much for spotty effort on defense though because it was clearly not a point of emphasis this year on the Wizards. Sessions was a valuable backup point guard for the Wizards this season. His ability to create his own scoring opportunities made him an asset for a second unit who often got caught ball watching. If the Wizards can convince Sessions to stay this offseason, that would be great as he fits nicely in the backup point guard role. However, it’s been documented that Sessions is looking to be a starter. If the Wizards can convince Sessions to stay and be more of a facilitator while playing with the reserves, he should absolutely stay. But, if Sessions is looking to be a starter, that opportunity will not be available here in Washington. Previous postShould The Wizards Go After DeMar DeRozan in Free Agency?